Stocks and bonds go together like peanut butter and jelly: truly a case where the sum is much, much greater than the composite parts. Or, at least, it has been. In 2013, however, John Bogle, renowned founder of The Vanguard Group, began critiquing core U.S. bond indices as being fundamentally broken. At the time, the issuance-weighted Barclay’s U.S. Aggregate Bond Index had a hefty 70% allocation to debt backstopped by the U.S. government, including Treasuries and agency MBS. His argument, at the time, was that the intermediate-term bond portfolio most investors hold looks much more like the other 30% of the portfolio, making the overall index an inappropriate benchmark for passive tracking. 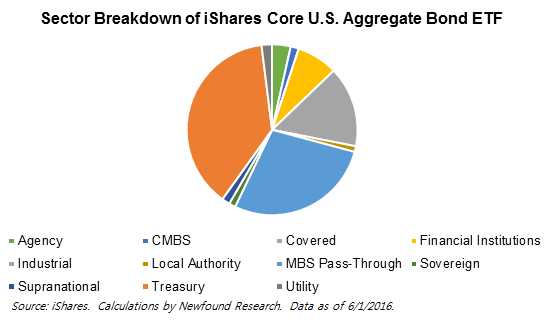 We can look under the hood of the iShares Core U.S. Aggregate Bond ETF (AGG), which tracks the Barclay’s U.S. Aggregate Bond Index, to see that not much has changed since 2013. What we see is that U.S. Treasuries and MBS pass-throughs still comprise 60%+ of the portfolio. In fact, over 80% of the portfolio is comprised of just three sectors. Just how important are these three sectors to the overall return of the portfolio? One way to explore this question is to try to cut out the fluff and replicate the index by building a portfolio using just the three primary sleeves. 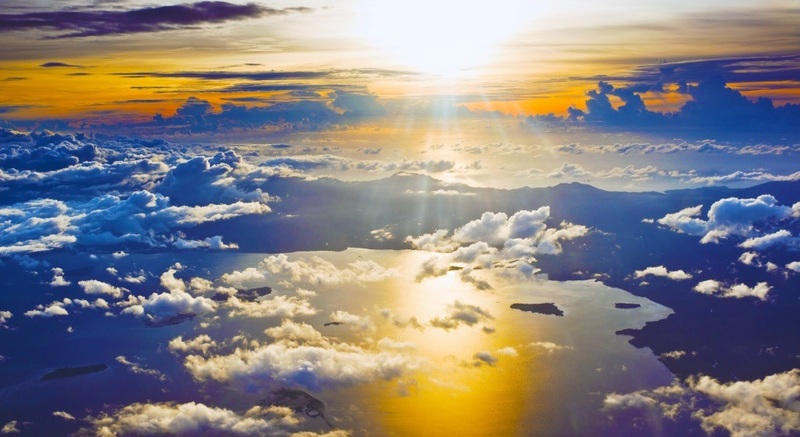 Fortunately, there are ETFs available that represent these three sectors: the iShares U.S. Treasury Bond ETF (GOVT), the iShares MBS ETF (MBB), and the iShares iBoxx $ Investment Grade Corporate Bond ETF (LQD). By setting the other sectors to a 0% allocation and normalizing, we end up with a portfolio that is 46.86% GOVT, 34.46% MBB, and 18.78% LQD. 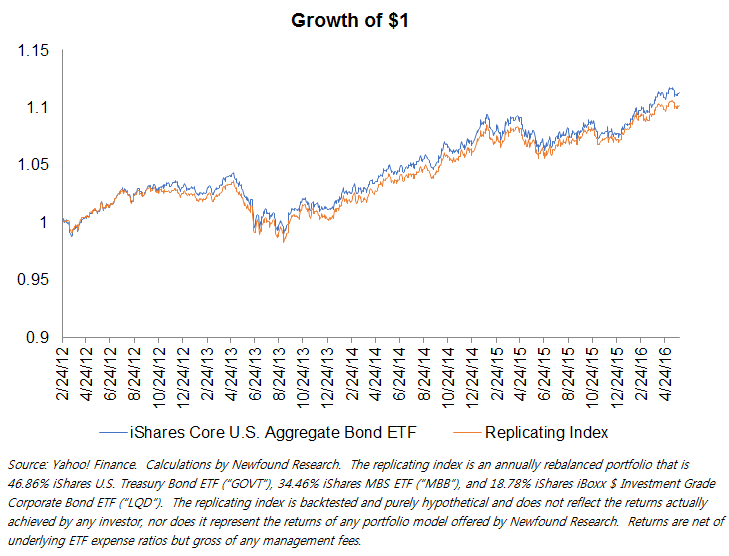 How close does this portfolio come to replicating the performance of AGG?